Bukky Awosogba, Product Developer at the New York City-based company Better Spaces, moderated a panel today at the Workplace of the Future event, hosted by Bisnow. 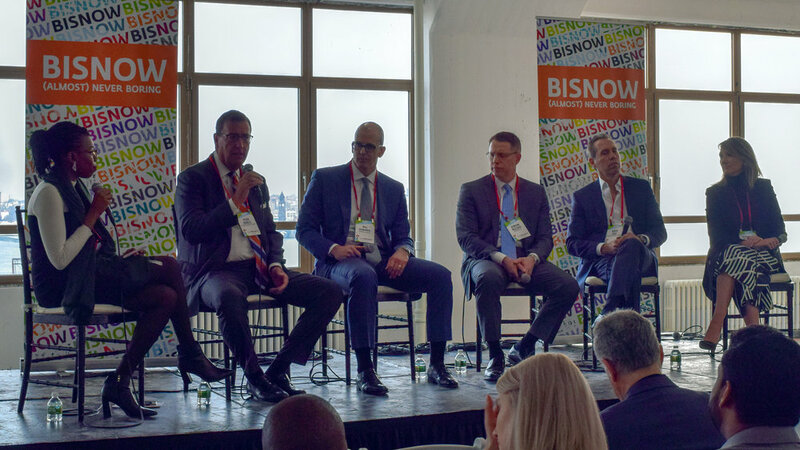 In a bustling hall in downtown Manhattan, Ms. Awosogba discussed the future of the workplace with prominent leaders in the commercial real estate industry, including David Falk from Newmark Knight Frank and Steve Durels from SL Green. The panel, titled “Development and Leasing: Keeping the City Market Strong,” touched on the major changes affecting the Commercial Real Estate industry today. In addition to discussing current pain points, the panel focused on emerging trends in pre-built spaces and tenant customization, as well as predictions of what the workplace could look like 50 years from now.